Dream. Dress. Play. 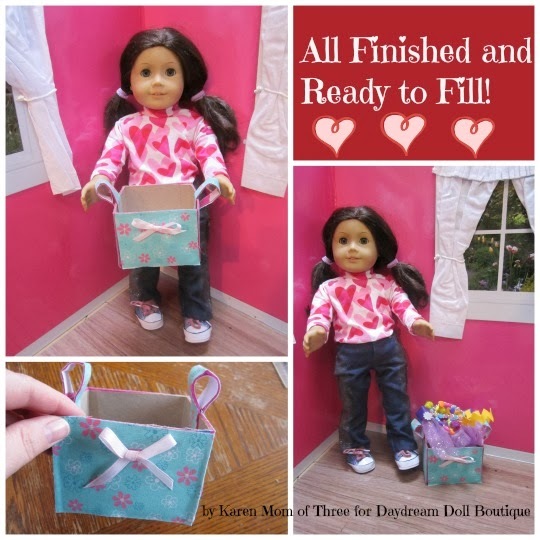 : Make it Monday- Make A Costume Box For Your Dolls With Phoomph For Fabric! 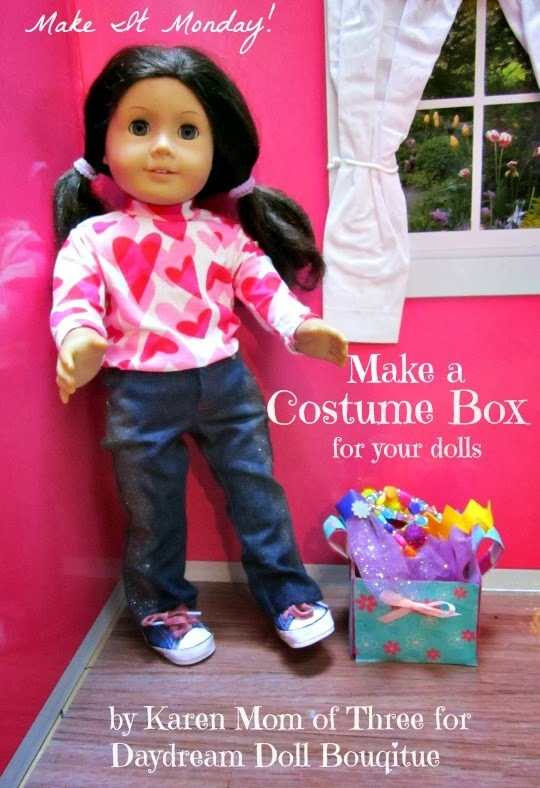 Make it Monday- Make A Costume Box For Your Dolls With Phoomph For Fabric! Happy Monday! 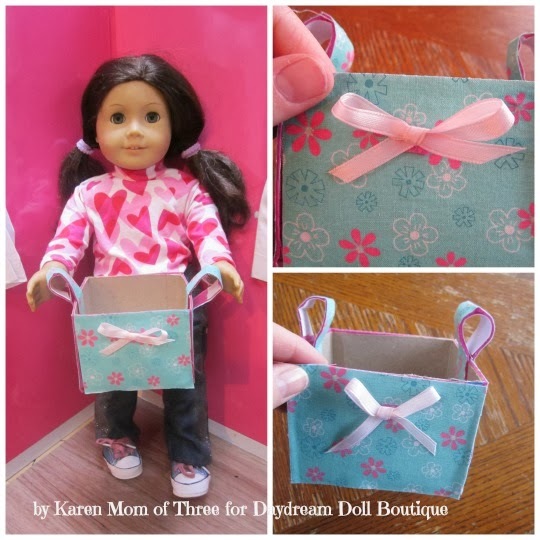 Karen here to share with you a fun and easy way to create a Costume Box for your dolls to hold all your Make it Monday Costume Crafts! I used some Phoomph for Fabric which is a very fun and easy to use craft product from Coats & Clark. Step 1- Gather all the supplies you will need. 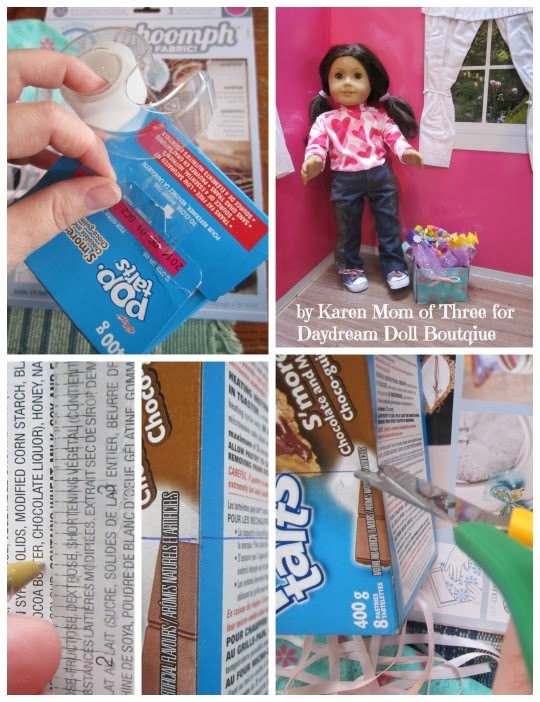 Use a piece of tape to close the open top of your box as shown in the photo above. Step 2- Use a ruler to find the middle of your box, use a pen or pencil to make a marking in the middle of your box all the way around. 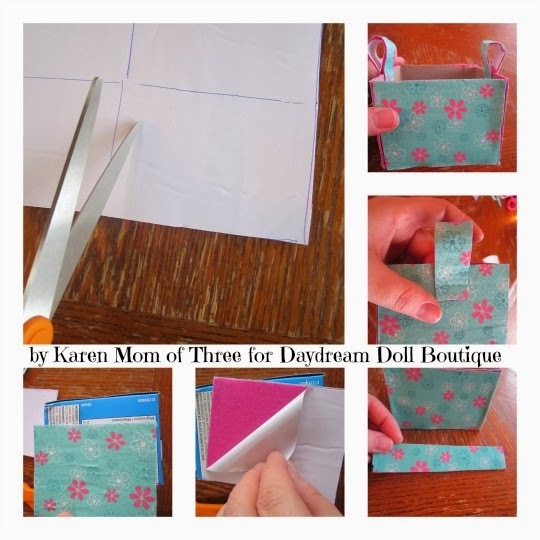 Step 3- Use your scissors to cut your box along the line you made creating two equal boxes. Put them aside. Step 4- Peel back the white paper backing from one side of your Phoomph for Fabric sheet. Then lay your fabric right side up on top of the sticky Phoomph exposed side. Smooth out your fabric so that no wrinkles appear, you can easily remove your fabric and smooth as you go if you have large wrinkles. Step 5- Turn your fabric covered Phoomph sheet over. Place your box on it's side on your Phoomph and use a pen or pencil to trace each side. Step 6- Cut out your shapes from the Phoomph. Step 7- Remove the backing from your cut out shapes and stick them on the sides of your box all the way around. Trim as you go if needed. Step 8- From the remaining scrap covered Phoomph Create handles for your costume box. 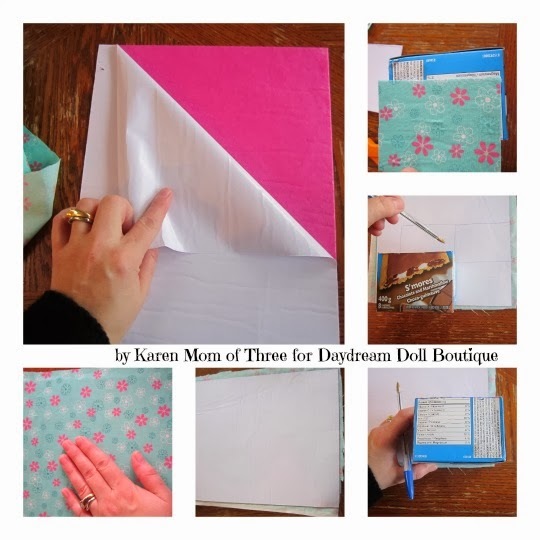 Remove 1 inch of backing from each of the Phoomph covered scrap on each end of your strip and bend and pinch into place on two sides of the box as shown above. 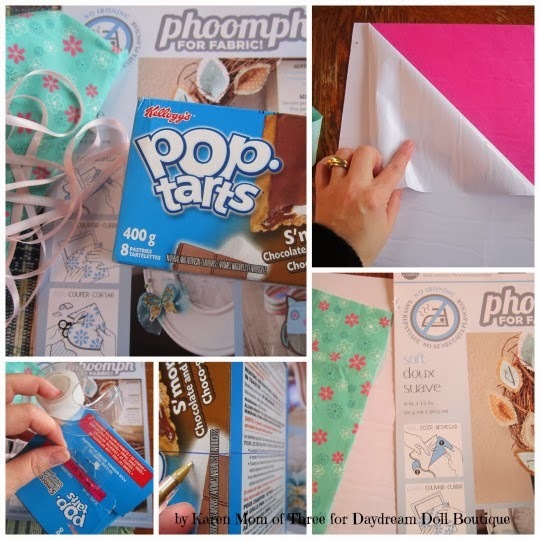 Step 9- Create a bow for the front of your box with ribbon and use a small piece of Phoomph to attach the bow to your box. Now your box is ready to fill!